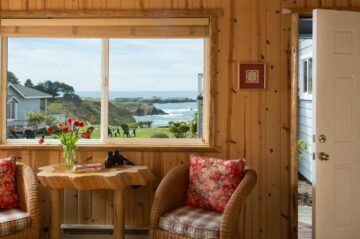 For the ultimate Northern California escape, choose our quaint cottages! 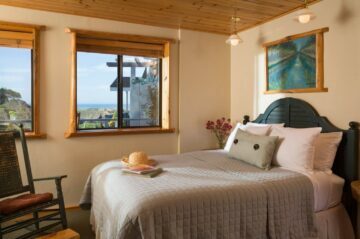 You’ll love the privacy they provide as well as the gorgeous ocean views. 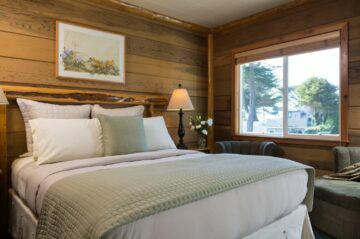 It’s the perfect combination of modern comfort and cozy charm! 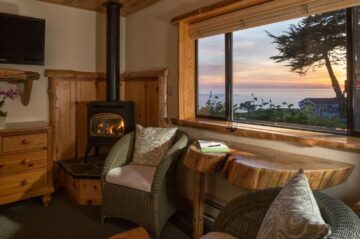 Enjoy an authentic Mendocino experience amongst the coastal decor, gas fireplaces, and luxurious linens. And, you’ll get a good night’s rest on the plush queen mattresses. 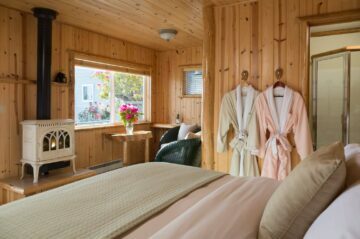 On top of the fabulous amenities mentioned above, our cottages are also equipped with the latest technology to help you have a stress-free vacation. 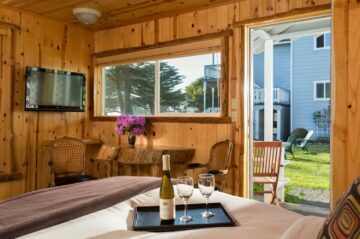 Additional perks include complimentary robes, cable TV, DVD players, Keurig coffee makers, iron and ironing boards, hairdryers, European toiletries, and more. 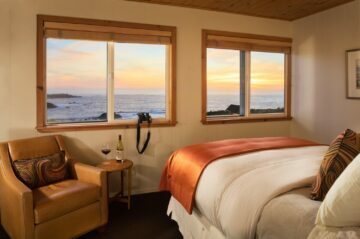 Scroll down and choose your favorite room to see what else we offer!